Write a film review for a newsletter, Engineering in Culture. The newsletter has two related missions: a) to promote public interest in engineering and raise public awareness of the important work engineers do in society; b) critique inaccurate, stereotyped, or negative representations of scientists and engineers that appear in mainstream media. Your review should name a particular cultural representation of engineering or a specific engineer, summarize the nature of this representation, and either recommend it or not recommend it for the newsletter's audience. You can set whatever criteria for evaluation that you think is appropriate for this venue. The engineering profession is often tied to a gray, dull life of mathematics and practicality. Engineers, it often seems, do little more than build structures and programs and have very little concern for anything other than efficiency. Such is not true, however, of the engineers behind blockbusters like the recent eleven Academy Award nominated film “Life of Pi”. The 2012 film is a modern visual masterpiece, made possible with computer generated imagery and the world’s largest self-generating wave tank in film industry history. The engineers behind “Life of Pie” used their skill to create a magnificent oceanic journey and to bring an “unfilmable” book to life. “Life of Pi” shares a plot with a New York Times bestseller and winner of Man Booker Prize novel by the same name, written by Yan Martel. It tells the story of an Indian boy who is washed away onto an incredibly journey of discovery and adventure after he becomes the sole human survivor of a shipwreck, on board a small life boat with a fearsome, Bengali tiger. Pi Patel is born and raised in French India and his family owns the animals of a government funded Zoo. When a land dispute with the government causes the family to shut down the Zoo, Pi’s parents must sell off the animals and move away to Canada. On the way there, their freighter succumbs to a powerful storm and sinks, leaving Pi alone on a lifeboat with four animals: a zebra, a chimpanzee, a hyena, and a tiger. The hungry hyena eventually brutally devours both the zebra and the chimpanzee and is, in turn, killed by the tiger, which was hiding in a secret compartment of the boat. Pi and the tiger, nicknamed Richard Parker, become companions on a journey of survival. Richard Parker becomes dependent on Pi for nourishment. Pi becomes dependent on Richard Parker’s companionship because tending to his needs provides him with purpose, and fearing that the tiger might rip him to shreds out of hunger keeps him alert. Directors of such high caliber as M. Night Shyamalan and Jean-Pierre Jeunet originally deemed the film representation of the novel “unfilmable” and both abandoned the project pre-development. The most daunting aspect of filming “Life of Pie” is story’s prominent aquatic element. It is quite a difficult task to film out in the actual ocean. Mother nature often has her own plans, which can be quite inhibiting and costly. 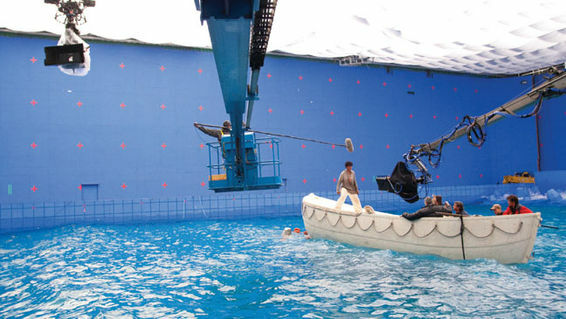 Ang Lee, the Taiwanese-American director who eventually went through with brining the life to “Life of Pi” chose to have a giant wave-generating tank constructed for use in filming the sea adventure. The tank took fourth months to develop and is the largest ever made for the film industry. It measured 70 meters long, 30 meters wide and 4 meters deep, with a capacity of 1.7 million gallons, and allowed the filmmakers to generate a range of water textures. The tank was carved into the middle of a Taiwanese airport runway. It even had a movable wall that helped take advantage of the natural sunlight. Large tank aside, the computer-animated imagery played a crucial role in bringing to life the incredible animals used in the film. Nearly all of the animals used in major shots were created in a visual studio. The only on-set animal was the hyena. Ang Lee stated that he made the decision to have a live animal on set because he felt that the majesty of the real life thing set a standard for the visual animators and served as inspiration to create the surrounding animals to be as realistic and as majestic. Richard Parker was entirely computer-animated, although he did have four stunt doubles for pivotal scenes and reference. The visual effects specialists had to intercut between shots of a real tiger and the CGI tiger, which had never been done before, according to the film’s visual effects supervisor. A team of fifteen specialists worked on the hairs of the tiger, alone. The film is a great inspiration and a great engineering feat. Perhaps more than any preceding movie, “Life of Pi” has shed an incredible amount of light on the production of a film and on the courage of the engineers and software technicians behind blockbusters. “Life of Pi” earned the 2013 Academy Awards for Best Achievement in Cinematography and Best Achievement in Visual Effects, quite the recognition for a team of engineers. 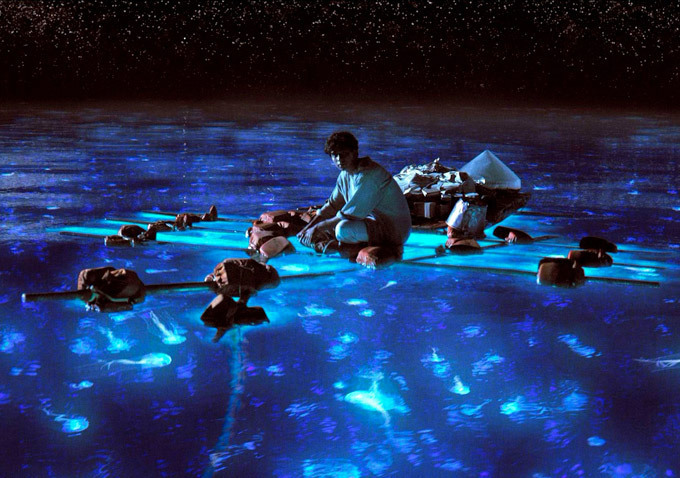 The engineers behind “Life of Pi” are as imaginative and inspirational as the story itself.